In this audio Steve James shares 4 keys to establishing a consistent and potent personal practice. I’m often asked how much practice is the right amount and I always answer that the right amount of practice is the practice that you actually do. If you can secure the strong habit of regular practice, even if the individual sessions are modest in terms of time or intensity, you have overcome one of the most difficult obstacles and are already way ahead of the curve. I’m consistently amazed by how powerful an agent regular practice is – the kinds of transformations and deepenings I’ve see it create in myself and others can seem utterly magical. It’s sad but true that most people will never crack this code and may never glimpse the profound possibilities that a life of practice affords. It’s one of my passions to equip people with the understanding of how to intelligently harness this power for themselves. The first step is to understand the principles of practice and learn to work with one’s nature rather than against it. With that in mind, these insights focus on overcoming the first great test: the initial habit-forming, precedent-setting phase of your personal practice. This excerpt is from our Embodiment Teacher Training Level 1. As part of their training our graduates are required to develop a rigorous personal practice and, while these tips are geared to their specific assignments, the advice is applicable to any endeavour (including yoga, meditation, or even learning a musical instrument). Need some inspiration for your own practice? 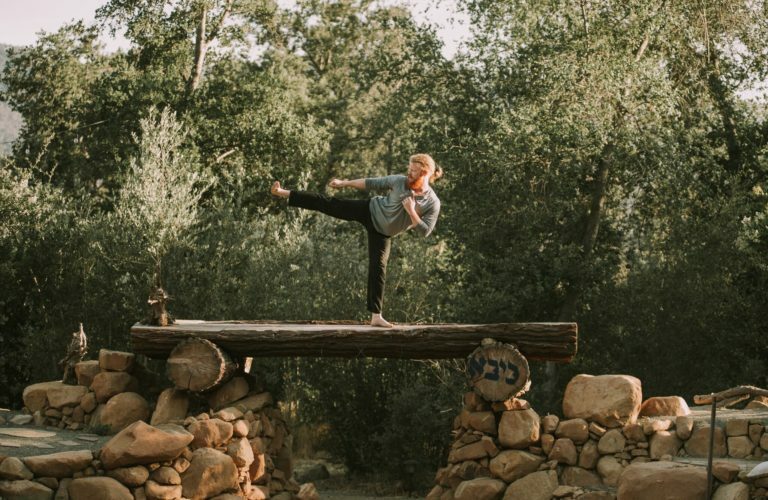 Check out my Movement Koan Method® Instant Download for an innovative approach to your body that combines joint-nourishing movement with body-based mindfulness and neuroplasticity techniques.